Seriously to ask one's self the question 'Do you feel all right?' pretty much always leads to the answer, 'Well, now that you come to mention it, in some ways, no.' 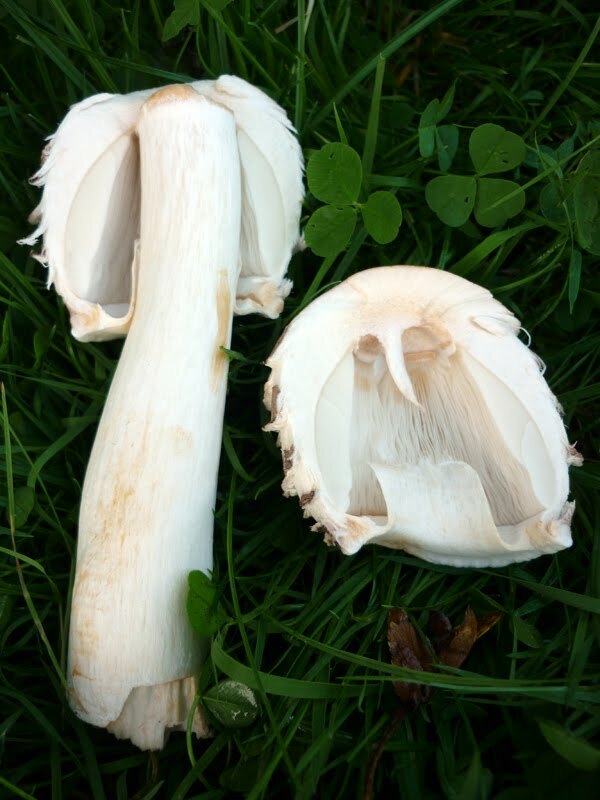 So I'd gone straight to the 'Poisonous' section of my mushroom book and stocked my head anew with the colourful and excruciating ends that may come to the forager who stumbles uninformed across the Death Cap, Panther Cap, Sickener or - God forbid! - the mighty and terrifying Destroying Angel. I worked myself into a fair old state, in other words. 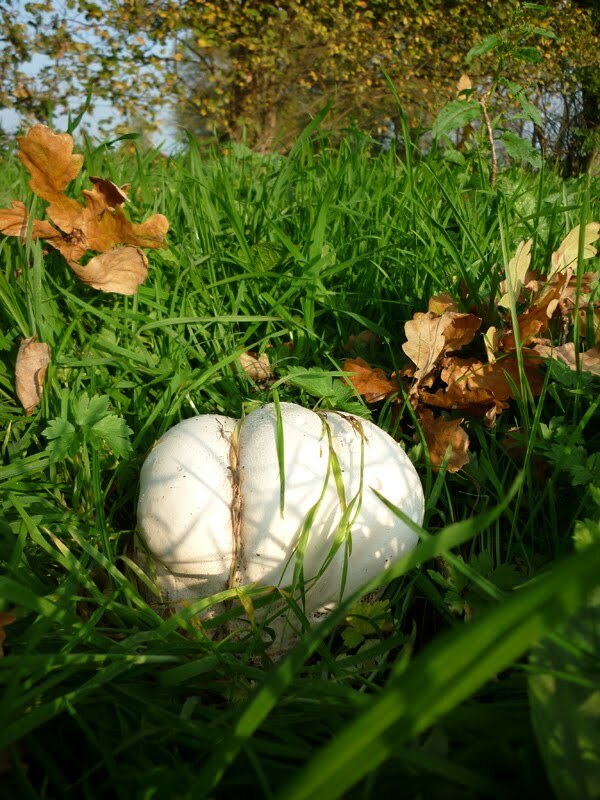 So I was taking a walk in the afternoon sun (possibly my last, I mused) thinking about all this and peering down at the grass - when it occurred to me that the two activities of eating wild mushrooms and shooting rabbits for the pot had something in common besides both being sourced from the fields. Which is to say: death. They have death in common. If you shoot a rabbit and things go well (for you, of course, that is) it dies. You kill it, cook it and then you eat it. The demise of the rabbit is an integral part of getting it to the table so death is an element within the activity of hunting, shooting & thereafter eating rabbit. And mushrooms? Well, you might say, this is where the analogy falls down - since if anything death is surely something to be most strenuously excluded from the experience of eating wild mushrooms. And yes, of course it is - but I'd argue that it's still there, nonetheless. 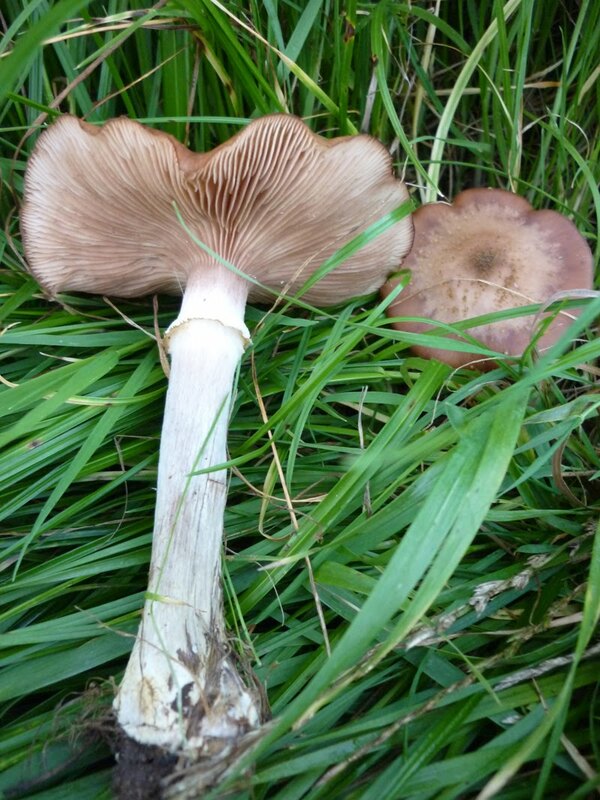 It's there as a kind of central and necessary reference point around which the activity of gathering and eating wild mushrooms revolves: these ones are tasty, these ones are less so and these ones... These ones will kill you stone dead - so beware. 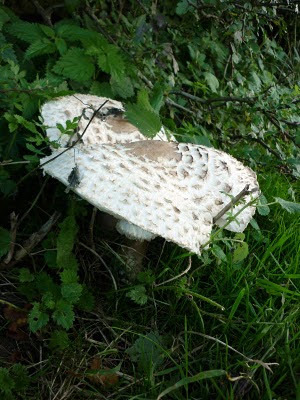 Just as it is with shooting and eating rabbits, so it is with gathering wild mushrooms: there's eating - and there's death. The elements aren't conjugated in the same way - but they're there just the same. There are, if you like, different plus and minus values ascribed to the elements - 'eat' and 'die' - in the different equations: the rabbit must die if you are to cook and eat it; you eat the mushrooms but must not yourself die. It's hard to say exactly why this cheered me up but it really did. I think perhaps that before thinking all this the idea of death in relation to eating wild mushrooms had - how shall I put this? - overflowed its boundaries, so to speak. The one idea of death had spread too far within the set of ideas around eating mushrooms and thinking it through in the the way that I had done had ended up re-emphasising the fact that, yes, death was indeed an essential reference point in relation to the set of ideas around eating mushrooms but it wasn't, as it were, the essence of the set of ideas as a whole. So it ended up being a rather cheerful walk. I arrived back home feeling much better and put the whole idea of sudden death behind me. Today, sitting down outside my flat to smoke, I thought about the fields at the bottom of my road. I very rarely go there since I don't have permission to shoot on the land - but there's a public footpath and people and dogs walk across it all the time. What the hell, I thought, I'll take my pipe and smoke in the field instead. So, travel coffee mug and well-stuffed pipe in hand, I stepped over the style into the field and, within fifty yards, had stumbled across a very fine Giant Puffball nestled amidst the grass and the fallen oak leaves. I promptly uprooted it and took home for tea. This one, I knew, wouldn't kill me. Ah the last time I enjoyed the ball of the puff was on the Isle of Mull (please I beseech you no references to songs by Wings) stuffed with seasoned and smoked autumn Cod, oh happy days indeed. Oh and do not despair to much HH I'm sure that the maybe poisoned fungi of the other day would have done you in by now!